My customer had just moved into her new house in Newport on Sydney’s Northern Beaches. I mounted their larger 55in Samsung tv in the lounge room and now they wanted the 32in Samsung wall mounted in the bedroom. The previous owners must have had a tv previously mounted in the bedroom as there was already a power point and antenna point up on the wall. I just had to find the timber studs in the wall to mount the bracket to at the requested height for the customer. The customer had already purchased the swivel wall bracket from Bing Lee. The Samsung tv was connected to the aerial so we did a fresh tv installation to get the free to air channels and new wifi. The TV was a smart tv so they were also able to watch Netflix. 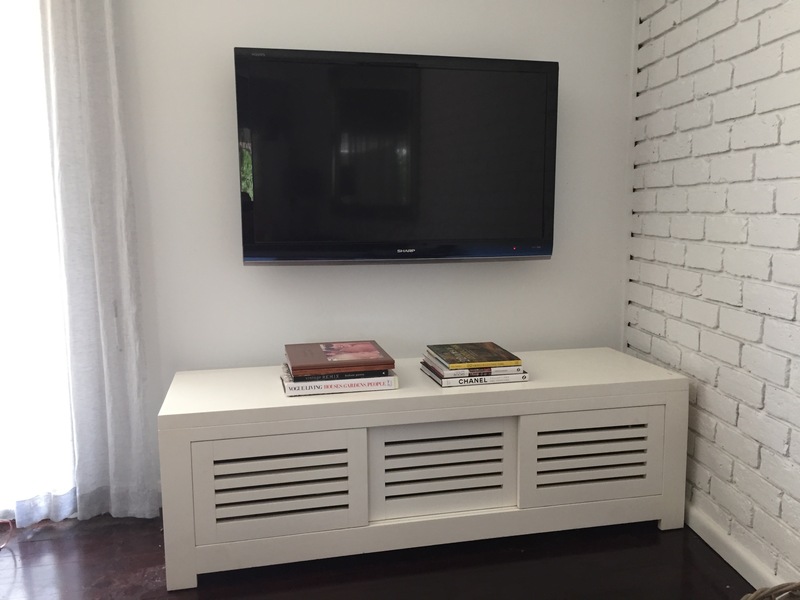 If you need help installing your new or existing television give Peter a call on 0401 202 087. 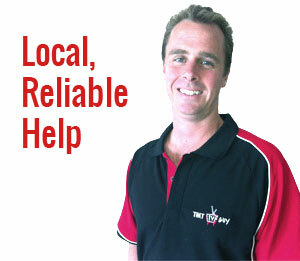 Peter has been servicing the Northern Beaches and North Shore Sydney since 2002. 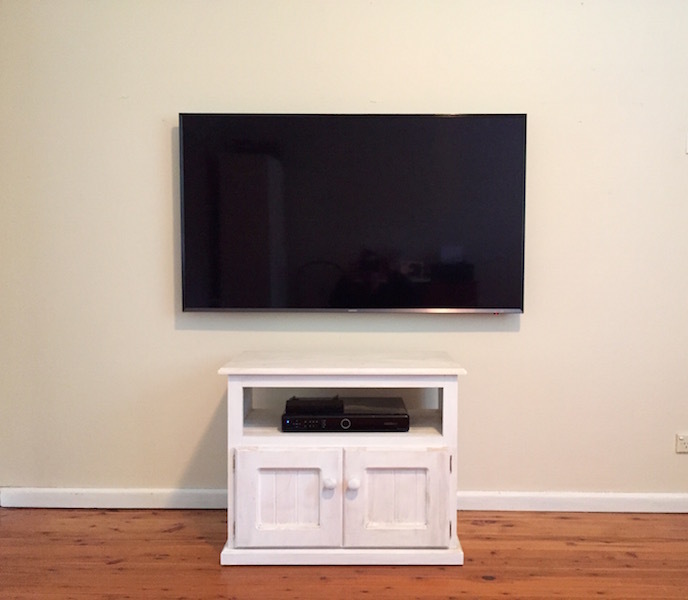 With this TV Installation and Wall Mount Turramurra North Shore Sydney the customer had just received a new Samsung Ultra HD TV and wanted the tv wall mounted and connected up to HD Foxtel. The Foxtel outlet point was on the other side of the room so we also had to recolate the point to the side of the room where the tv was to be mounted. Our main problem was deciding on the height to put the tv as there were lounges yet in tv room. Since the TV cabinet was 600mm, we decided on 750mm for the tv height, which is about the average these days. 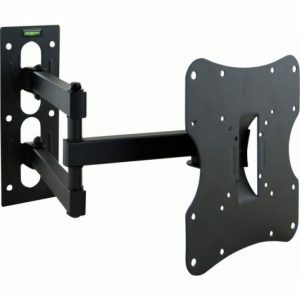 If you would like your new or current TV wall mounted don’t hesitate to call Peter from That TV Guy on 0401 202 087. Your local TV installer. Servicing the Northern Beaches and North Shore Sydney for over 14 years. 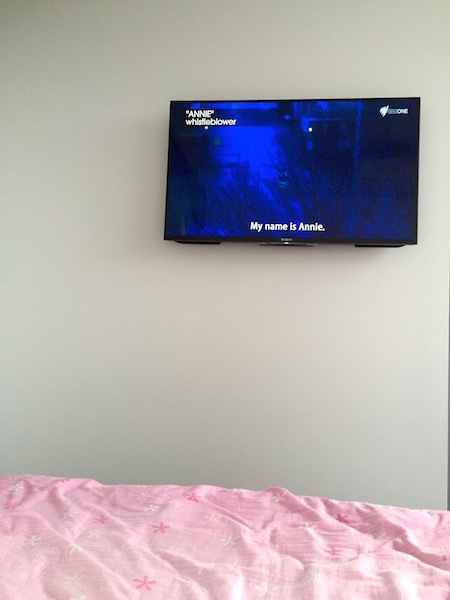 With this Television Installation Wall Mounting Service Warriewood Northern Beaches Sydney the customer just purchased a 40in Sony LCD TV and wanted it mounted in the bedroom. Due to the configuration of the metal studs in the wall we couldn’t use the supplied Sony bracket and just sue the more standard wall mounting bracket. Since the tv has internet connectivity the customer was interested in using the Freeview plus capability to catch up on the shows he had previously missed. That TV Guy just put another Sharp LCD television up on the wall in Bilgola Plateau on Sydney’s Northern Beaches. 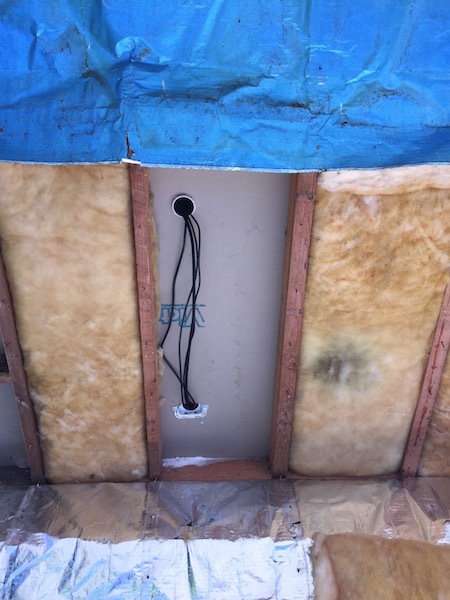 The owner took the cladding off the outside of the house so that we had good actress to hide the cables inside the wall. We hid the HDMI cables inside the wall for the Apple TV, Macbook and Foxtel HD. The owner was please that the tv was up on the wall as they have a young family so there is no chance that the tv can tip over and harm the young children.